It's time to ¡Viva Fiesta! 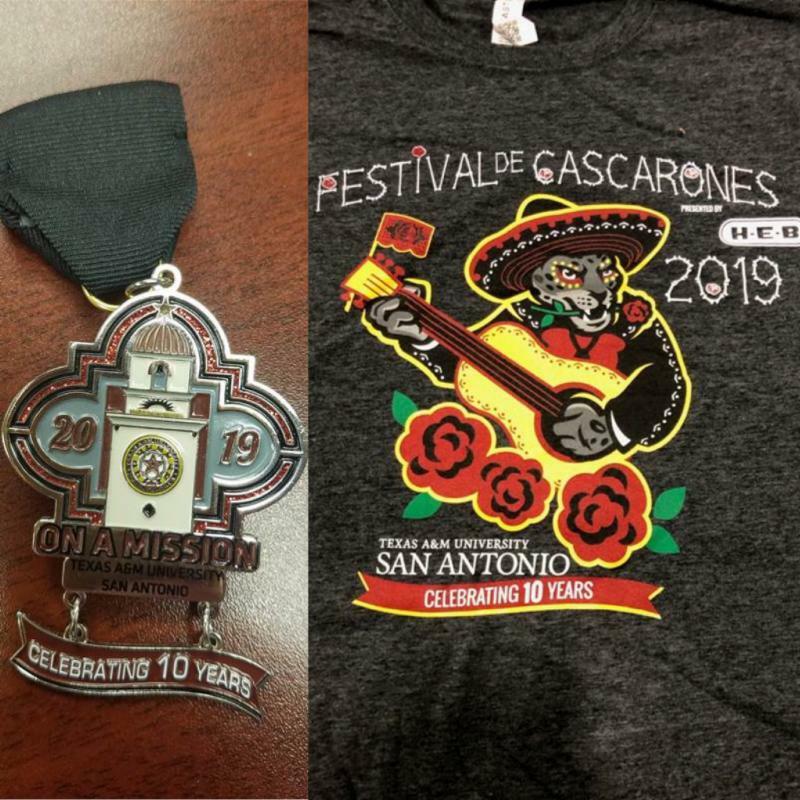 What better way to kick-off Fiesta San Antonio than with the official Texas A&M University-San Antonio medal and shirt! Both are available for purchase in the University Bookstore. The medal is $10 each and the t-shirt is $20 each. The medal has the Torre de Esperanza that lights up along with a dangling charm that celebrates our 10-Year Anniversary. The shirt features General the Jaguar with a guitar, ready for the University's Festival De Cascarones event on Sunday, April 28.